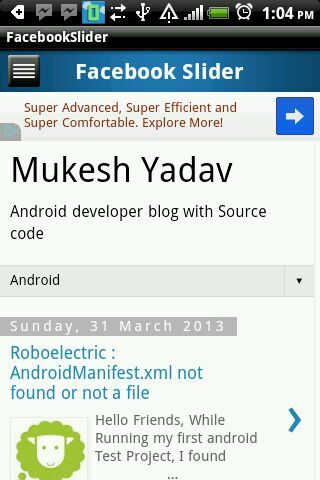 Have you searching for dynamic swipe view on list view Item ?? to right or right to left. 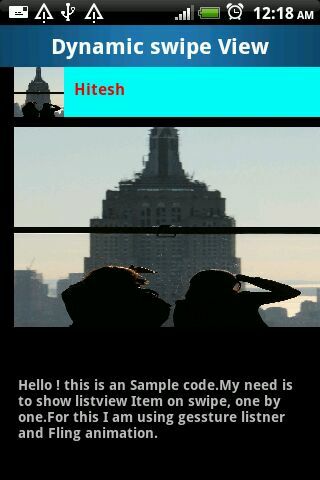 TextView fortitle , another ImageView and a textview which contains some description. This items swipe left to right and right to left based on the size of listview. 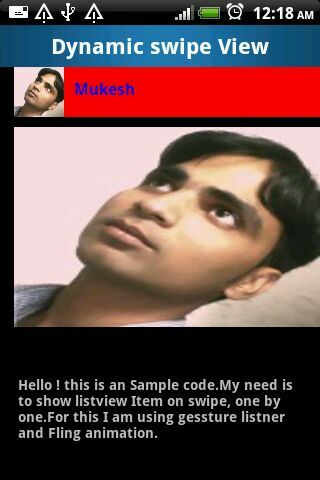 code, which is toughest job. android. 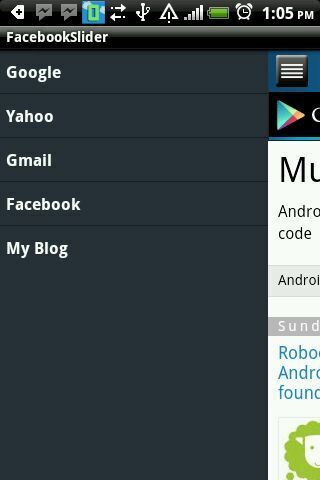 Using this we can display the details of list view item on swipe. android:text="Hello ! this is an Sample code.My need is to show listview Item on swipe, one by one.For this I am using gessture listner and Fling animation." from left to right and right to left. 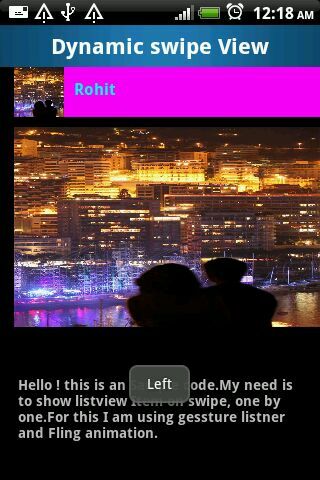 can show facebook like slide navigation in your android. 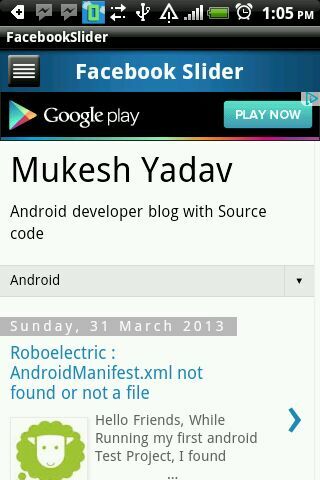 android application , then this tutorial definitely helps you.